Pregnancy and ADHD: Do Unhealthy Diets Hold the Clue? Got a Daughter with Autism? Casting call for Hollywood! Love to have your little autistic angel cast in a Hollywood movie? We believe you do! Here is your chance to let your little one explore the opportunity to make it big in Hollywood. ‘The Grandmaster’ is an interesting movie with a lip-smacking story line of an autistic girl, who accidently discovers her unique powers of being a chess-prodigy. However, in order to get ahead in the game she needs to batter her victory past the male Grandmasters. The movie promises to take its viewers through their wildest imaginations by showcasing to the world, the powers of autistic protagonist. The movie aims to help its viewers see how the young girl brings her inner world to life wading through the treacherous path on the big screen. The movie is into the making and the producers are working around a real-life theme. The Grandmaster has an aim to highlight the gender discriminations within the highly-competitive game of chess. The story revolves around how the young girl manages to achieve the title of being the youngest world champ. How does it sound to see your little angel head past the way to become the Hollywood champ? Well, here is your chance to have your little one shine on the big screen. ‘The Grandmaster’ movie celebrates the gifted power of girls and individuals having special needs. The production house is on a lookout for their mystical queen. Act now and watch your little tot marching her way to Hollywood stardom! Maya Freeman: A young autistic girl being gifted as a chess prodigy rising to fame despite oppositions from the world of chess champs. Although the young girls enjoys game and success with her chess skills, Maya and her family still deal with the unique challenges of autism in their daily lives. Maya, a character with capacity to perceive unique patterns goes on to become the greatest chess champ the world has ever seen with love and continued support from her family throughout her journey. A movie with a lip-smacking storyline of an autistic girl, who accidentally discovers her unique powers of being a chess-prodigy. Hi! I am Zeeshan, a reporting journalist with AutisMag. 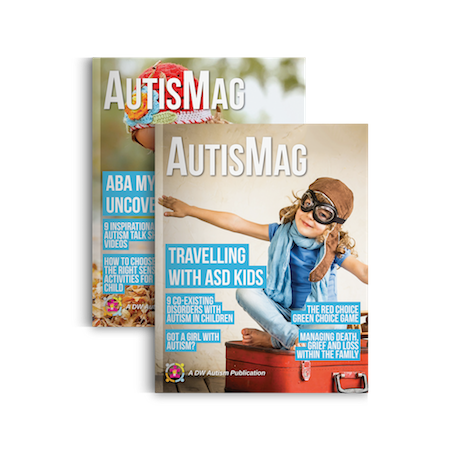 I cover daily news and stories on Autism, Aspergers and ADHD. Though an electrical engineer by trade, my passion for Autism advocacy and a flair for writing has inspired me to become a member of the AutisMag team. I am very proud to touch upon people's lives and make a difference on a daily basis. Follow me on my page.